The gPiO box works with both the original Raspberry PIs (with a 26 pin GPIO connector) and the newer Pis (with a 40 pin connector). The newer Pi's have many more GPIO pins available. 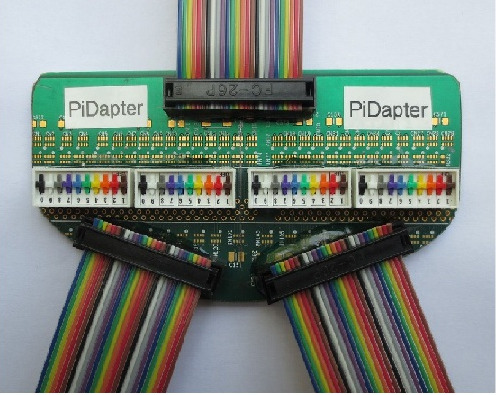 Using a PiDapter with one Raspberry Pi and two gPiO boxes doubles the number of inputs (from 4 to 8) and outputs (from 6 to 12).